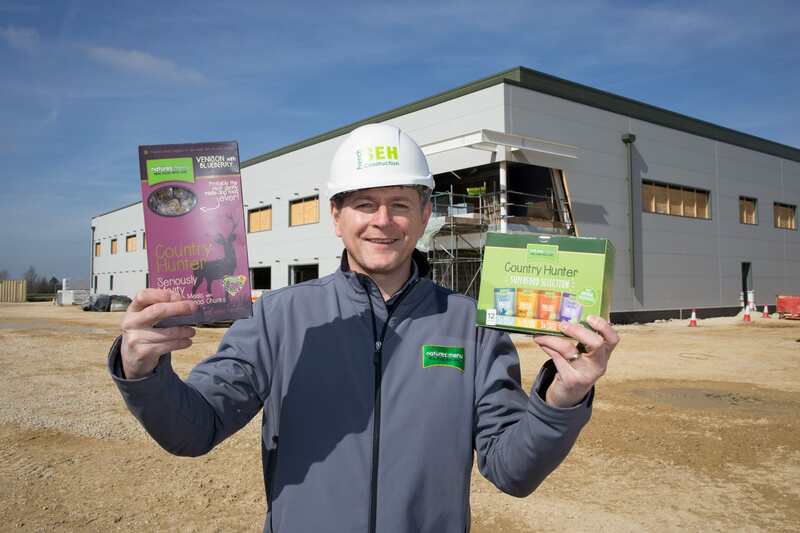 A pet food company is tasting real success as it prepares to move to a new £10m factory after major growth in recent years. And Stephenson Smart has been a key adviser during the rocketing rise of Natures Menu into a leading producer and supplier of healthy meals for dogs and cats. The company now employs 210 staff and sells a million pet food portions a week. When it founded in 1981, when it was called Anglia Meat Products, a handful of staff only supplied dog and cat breeders in East Anglia. By the mid-1990s turnover had reached £4m selling raw frozen products through pet stores. When Natures Menu teamed up with Stephenson Smart in 2010 the business had grown to a £10m turnover and 70 staff – and was set to get through a management buyout, restricting and re-financing. It has led to further growth to a £30m turnover and an impending move from its Watton base to a new factory at Snetterton, due to open in September 2017, which will double capacity and lead to another 25-50 jobs. Natures Menu also has depots in Leeds, Bristol and Cumbernauld in Scotland as well as a Germany-based European operation. Its products include healthy, natural, raw meat and fruit meals including venison and blueberry, chicken and plum, salmon and raspberry and rabbit and cranberry. Among the original production staff was current managing director Craig Taylor, whose father started the family business. Stephenson Smart, via partner Michael Andrews, provide audit, accounting and financial management support to Natures Menu, working closely with the company’s finance team. “Stephenson Smart have done their research on our business, products, market and competitors,” said Mr Taylor. “They have been a critical part of our development and have contributed to our growth,” said Mr Taylor, who has described the Snetterton venture as a pivotal moment for the business.